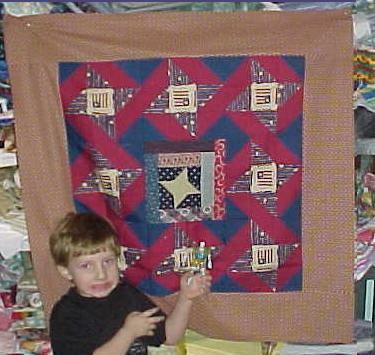 In October 1999, a group of on-line quilters got together in Indianapolis at Becky's house for a Wrap Them in Love quilting BEE! I came from Washington state, and there were others from Texas, Kentucky, Indiana, Alabama, Missippi. 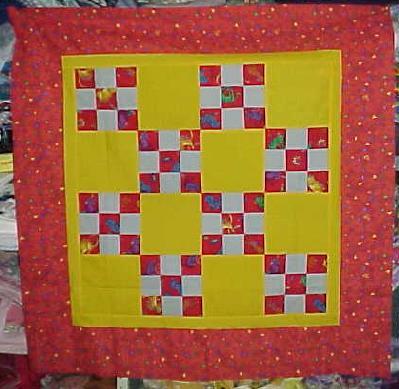 Many of us were meeting for the first time in person, altho it really was like a group of dear friends since we all knew each other from our on-line quilting group. 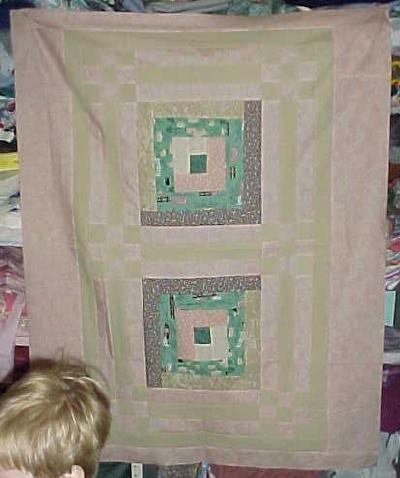 Hilary made the blocks for this baby quilt. 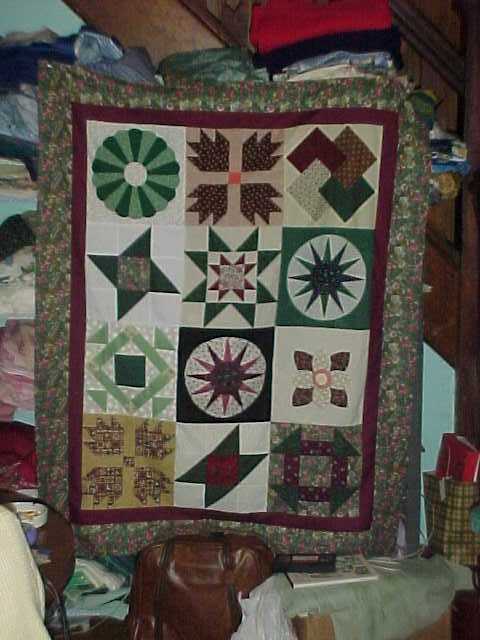 Joy put it together and quilted it, then Hilary sewed on the binding. Today, Becky stippled inside the blocks. 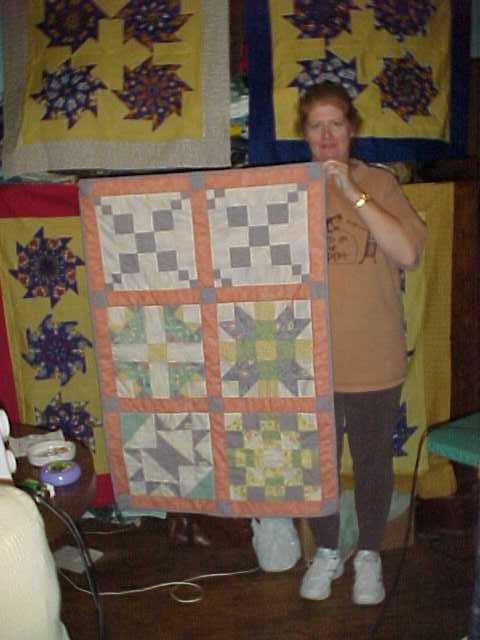 Here you see Linda holding up the finished quilt! It is beautiful!! 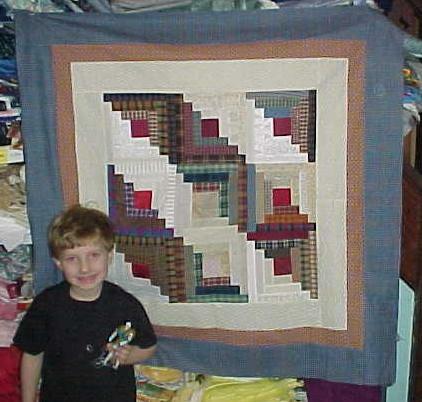 Sorry that Linda is a bit blurry here----I was looking at the quilt. 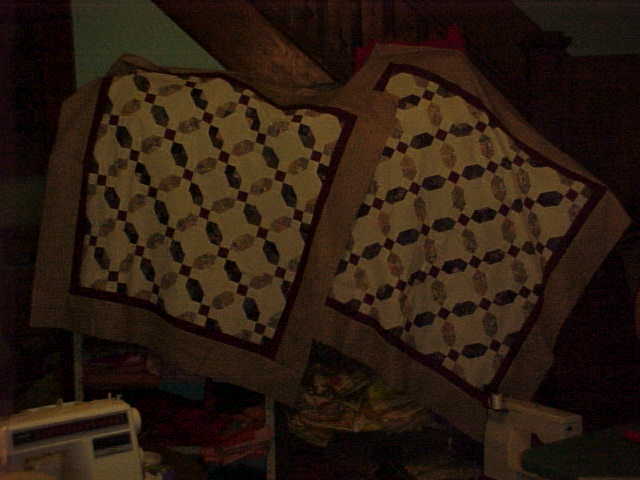 OK, everyone, here is a picture of the stack & whack quilts that we have been working on. 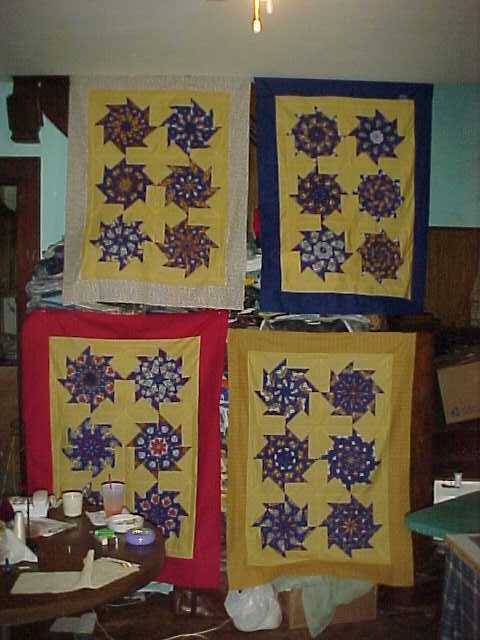 Sunday we had a stack & whack class, and these are the blocks that we did yesterday. 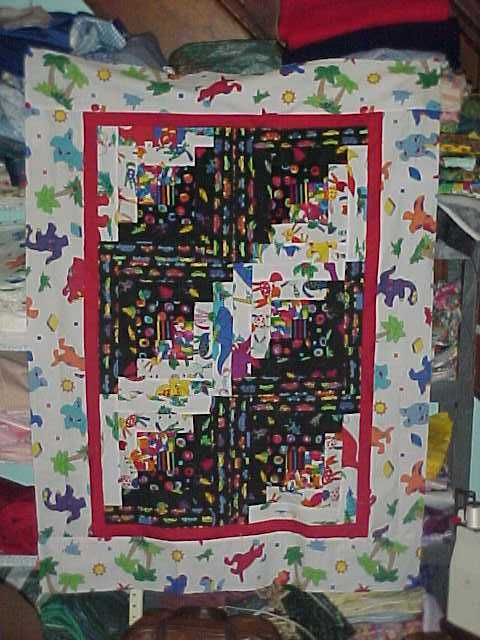 I know that you can't tell in the picture, but the blocks are all made from the same fabric----and it has kitties on it!! Today, we put borders on. The bindings are all ready to go too. We just need to get these quilted. We're also working on a bunch of other tops. These tops are hung in front of some shelves that are overflowing with a wonderful stash of fabric. We are trying to do make a dent in the stash this weekend!! 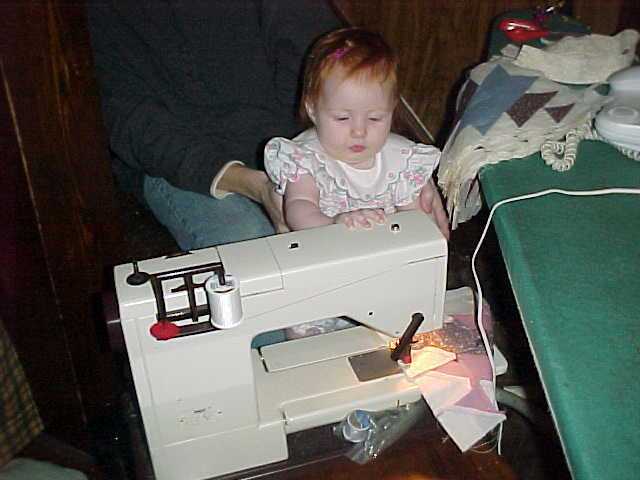 These sewing machines are smoking!!! 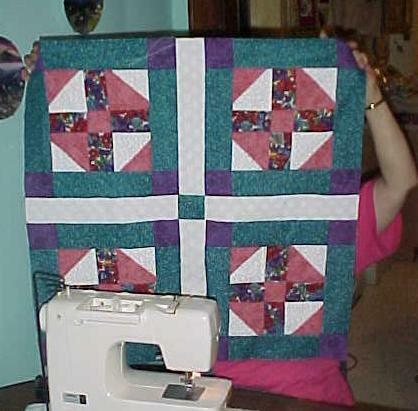 This is the quilt that Linda just put together. Becky just finished this one. 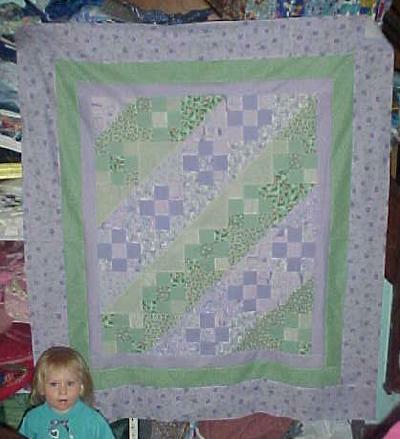 Becky made this scrappy quilt, then cut it into two baby quilts. Joy and Ellen just finished putting borders on these two. Dana and Linda just finished putting borders on this one! 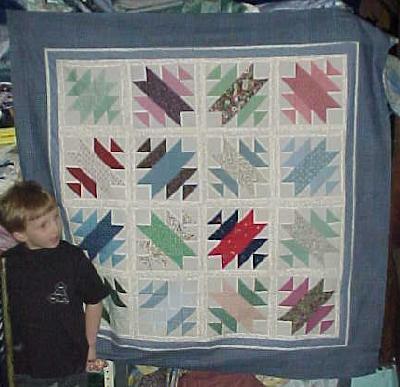 Is anyone counting these quilts? There are lots more on the way. Keep checking back to see how we are doing. Everyone is helping to make quilts for Wrap'em. This is Dana's baby, Savanna!! 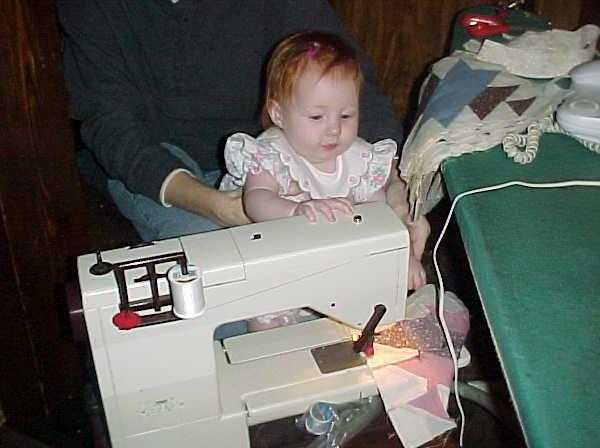 It's never too early to start learning to quilt!! On Tuesday morning, everyone was on their way home except me (Ellen). We woke up early and counted the quilts that we had all worked on the past two days. 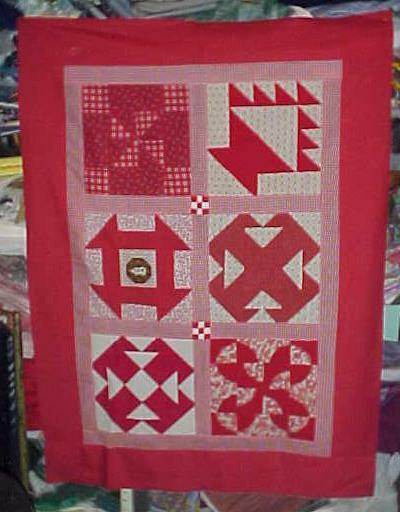 ELEVEN quilts!! wow!!! 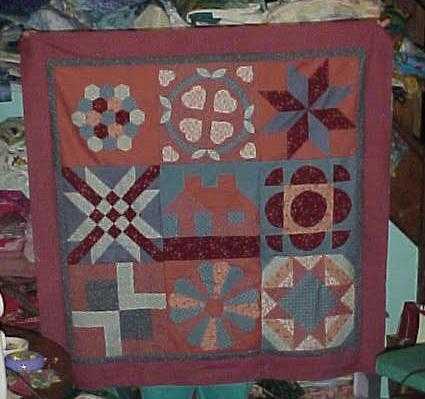 Then I decided that 20 was an even better number, so Becky and I sewed all day and these quilts are the ones that we did on Tuesday. As I was running out the door to go to the airport, Becky was just finishing number 20. When I called Becky when I had a layover along the way, she said she had finished number 20 and had done one more after I left!!! 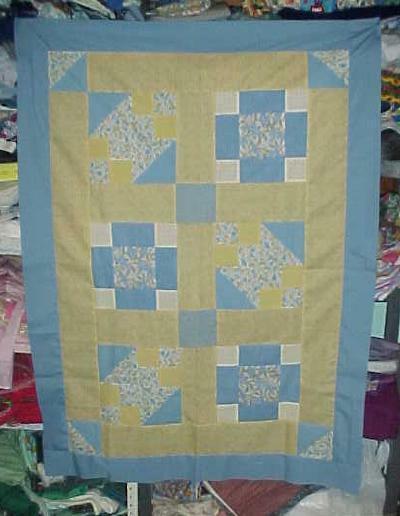 TWENTY-ONE quilts in one weekend!!! 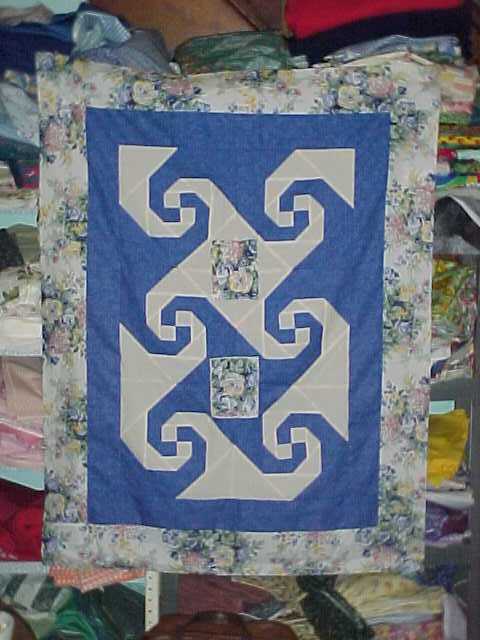 Now that's what I call a quilt bee!!!!!! !